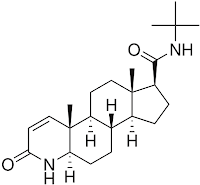 Finasteride (C23H36N2O2, MW = 372.2777, structure at right) is an approved drug for the treatment of male baldness. It acts as an inhibitor of the enzyme that converts testosterone to dehydrotestosterone. Finasteride pills are available by Merck and other companies but at a high price. They are also available from a relatively unknown Indian company at over three times lower price. Thus, a colleague friend approached us with a request to analyze a Finasteride pill from the Indian company to ensure the presence (or absence) of this active pharmaceutical ingredient and determine if it is a major or minor constituent in their pills. In fact, the topic of fake drugs is serious and requires attention thus we bring our advanced GC-MS experience with it into this post. Keep reading how the 5975-SMB GC-MS with Cold EI enables Finasteride in male baldness treatment pills. One pill was broken and about quarter of that pill was crushed and its organic content was extracted with CH2Cl2 and analyzed without further cleaning by the Aviv Analytical 5975-SMB GC-MS with Cold EI. For the purpose of this analysis we utilized a 5m standard fused silica capillary column with 0.25mm ID and 0.25µ DB-5MS UI film. The column flow rate was 5 ml/min and the GC oven was programmed from 50ºC to 300ºC at 30ºC/min. The 70 eV Cold EI ion source was operated with emission current of 12 mA and make up gas (helium) flow rate of 60 ml/min at 700 mBar nozzle pressure. 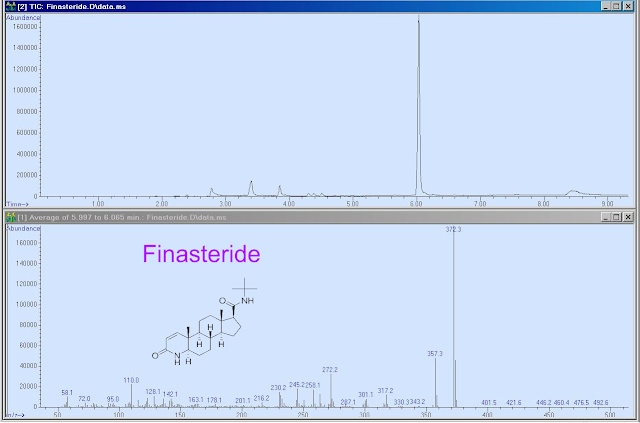 As shown in the figure below, Finasteride was found in the mass chromatogram as its most abundant peak at about six minutes elution time. Its cold EI mass spectrum included as shown dominant molecular ion at m/z=372.3 with several other structurally informative fragments. 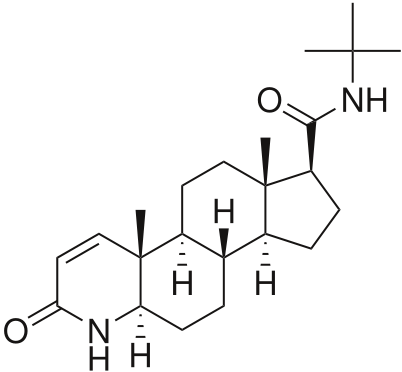 NIST library identification of this compound failed since Finasteride is not included in the library (NIST 2005). Thus, we used the Tal-Aviv Molecule Identifier (TAMI) software utilizing a method combining isotope abundance analysis with a mass accuracy filter of ±0.14 Da. 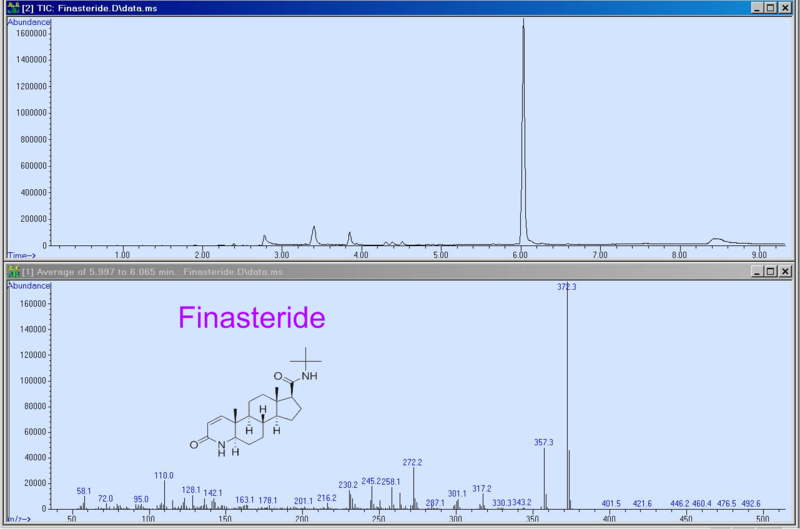 The analysis results as shown at the bottom figure provided C23H36N2O2 (Finasteride's composition) as its number one elemental formula with a matching factor of 999 (out of 1000) and calculated identification probability of 81.46%. Accordingly, we conclude that our results prove that the Indian vendor indeed provided Finasteride in their male baldness treatment pills. A few other excipient compounds were found with earlier elution times than that of Finasteride, including palmitic acid at 2.8 min. The last to elute mass chromatogram peak at 8.5 min was identified by the NIST library as C24H44N4O4 (1,8,15,22-Tetraaza-2,7,16,21-cyclooctacosanetetrone). The analysis of Finasteride as above represents an interesting case in which initially there is a need to select the proper instrument for the analysis. Standard GC-MS is perceived as inappropriate since for such steroidal drug with molecular weight of 372 its in-tact elution without decomposition can not be trusted or assumed. In addition, even if in-tact elution will be achieved, without having its NIST mass spectrum one can suspect that the mass spectrum may not contain the molecular ion hence will be with limited identification information content. LC-MS (with HR-MS) on the other hand can be selected but its method development could be lengthy and it can not provide quantitative information on the approximate amount and concentration of Finasteride in view of the highly non-uniform and compound dependent ionization yield of Electrospray. The 5975-SMB GC-MS with Cold EI ensures the elution of such drug compound without decomposition via the use of short column with high column flow rate and fly-through contact-free ion source, provides trustworthy molecular ion in combination with valuable structurally informative fragment mass spectral peaks and enables the use of the Tal-Aviv Molecule Identifier software for the elucidation of the drug elemental formula. Furthermore, the unique Cold EI uniform response enables the quantitative determination of Finasteride, which according to the chromatogram in the figure below is at 74% of the organic matter in its pill. Finally, the demonstrated analysis as below used a standard analysis method without any alteration and was finished after only 9.5 minutes (chromatography time) which is relatively fast. Figure 1. Finasteride analysis in male baldness treatment pill by the Aviv Analytical 5975-SMB GC-MS with Cold EI. Note the tailing-free peak shape and dominant molecular ion of finasteride. Click on the image to enlarge. Figure 2. 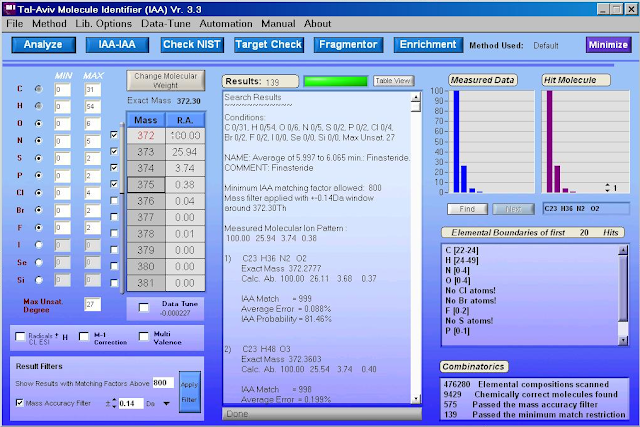 Finasteride identification by the Tal Aviv Molecule Identifier (TAMI) software based on isotope abundance analysis and mass accuracy of +-0.14 Da. Click on the image to enlarge.